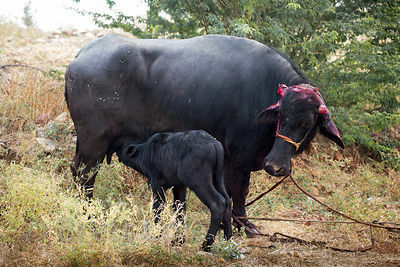 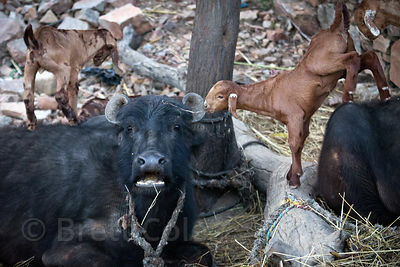 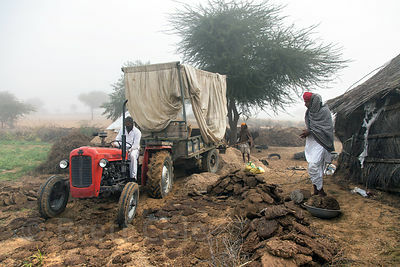 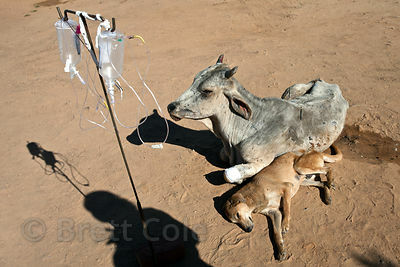 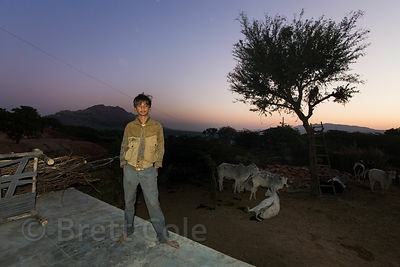 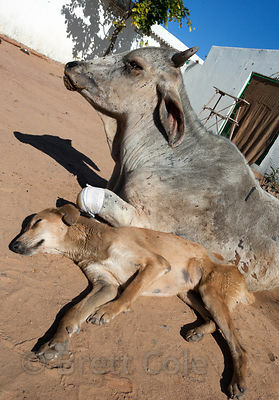 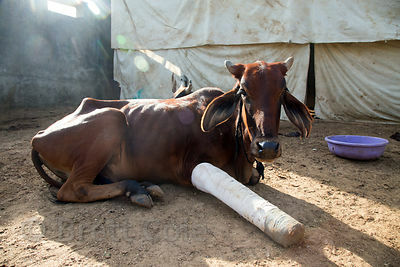 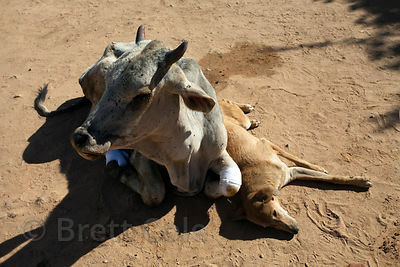 A baby nurses an adult water buffalo that went beserk in its owners truck and severed both of its horns, Kharekhari village, Rajasthan, India. 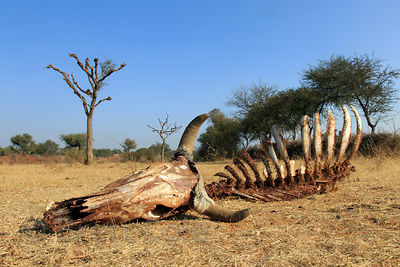 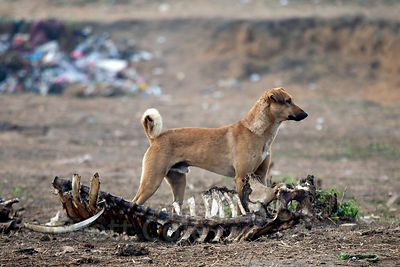 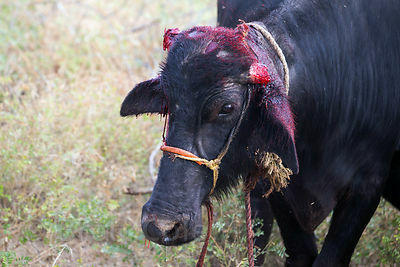 The animal is too dangerous for anyone to attempt to help it in this state. 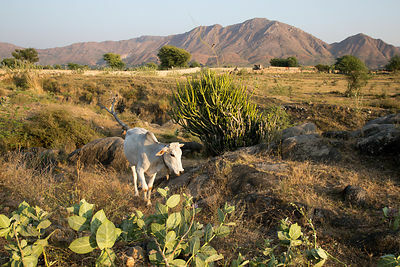 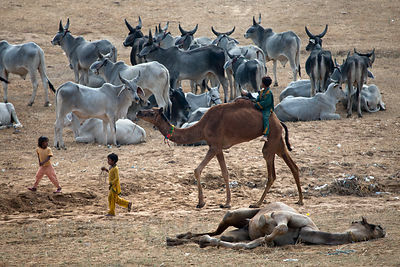 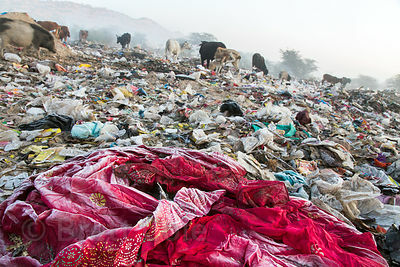 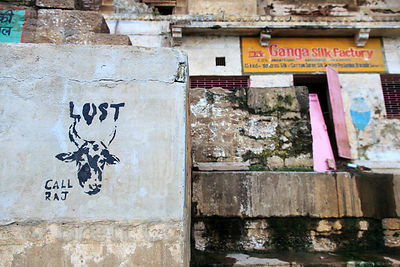 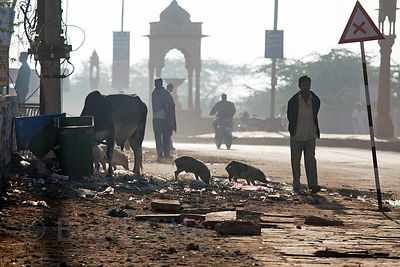 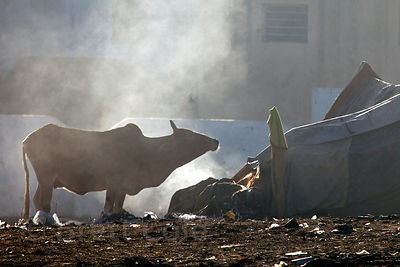 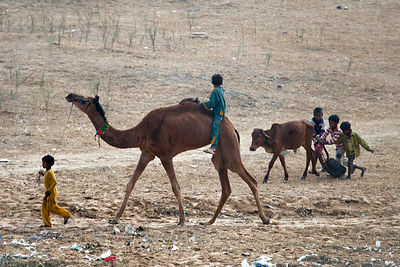 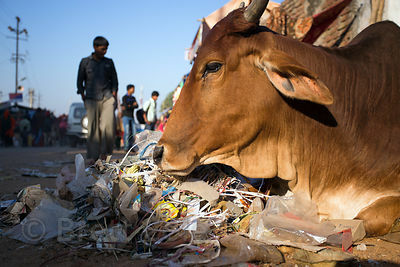 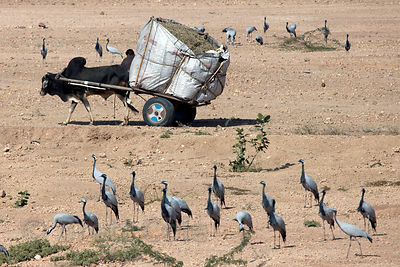 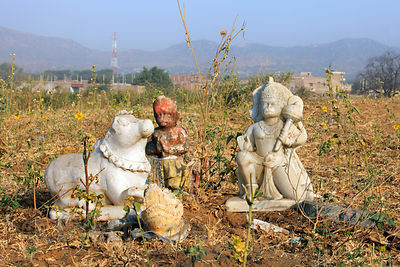 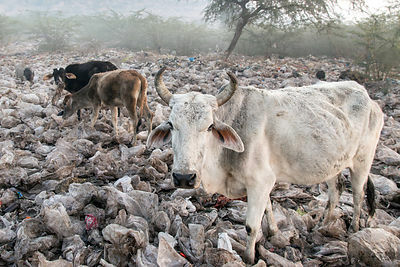 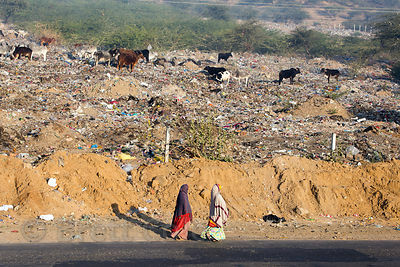 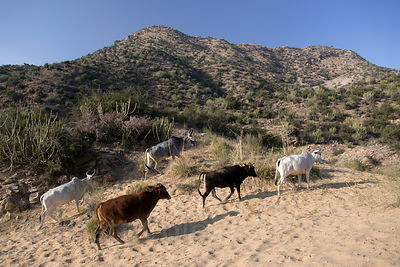 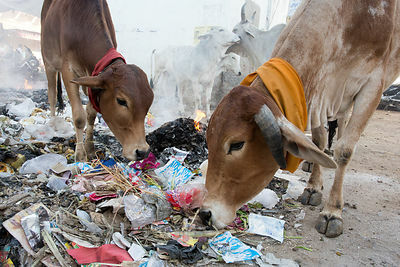 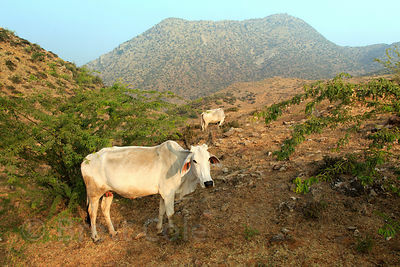 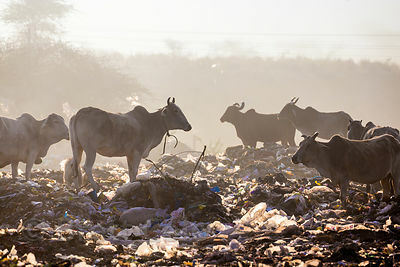 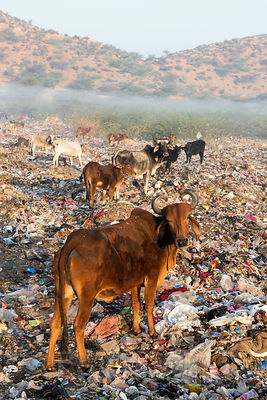 Cows grazing on a field of plastic bags at the Pushkar municipal dumping ground (landfill), Pushkar, Rajasthan, India. 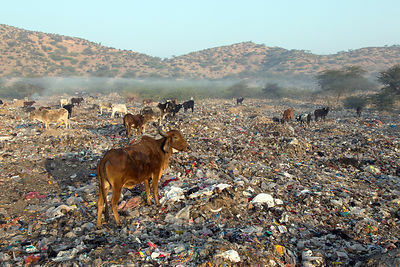 Landfills like this are so free of metal glass (since it's all been picket out to be recycled) that you can walk barefoot. 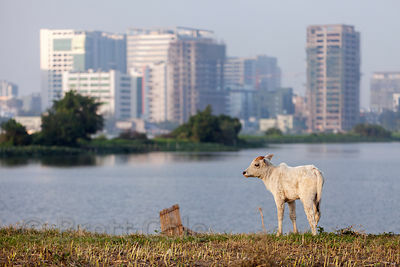 Cows graze on a strip of land in the East Kolkata wetlands, Kolkata, India. 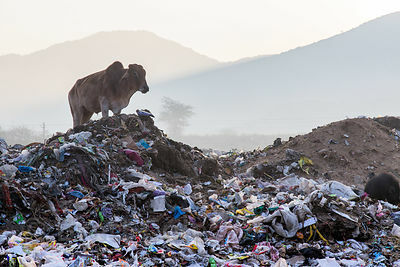 In the distance is Salt Lake City. 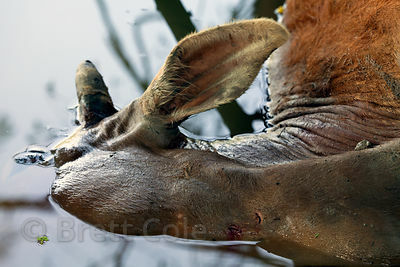 Cows are actually uncommon in the wetlands, which is a very good thing. 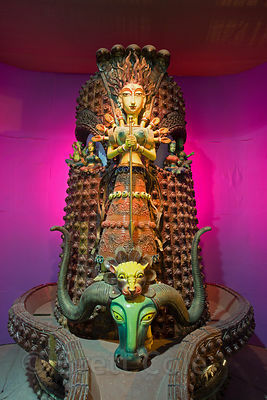 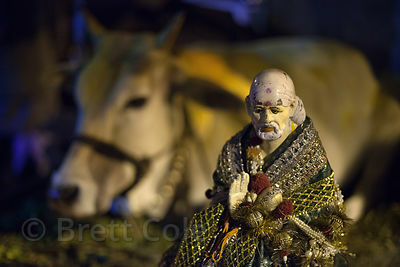 Sai Baba statue and cow, Kolkata, India. 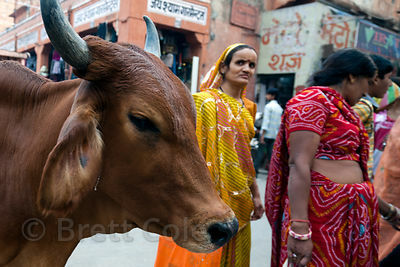 A bull with very large horns (sp.) 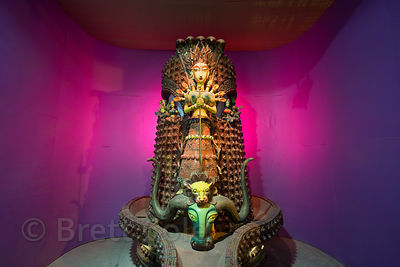 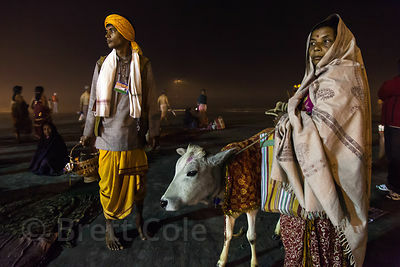 at a Hare Krishna tent at the 2013 Kumbh Mela, Allahabad, India. 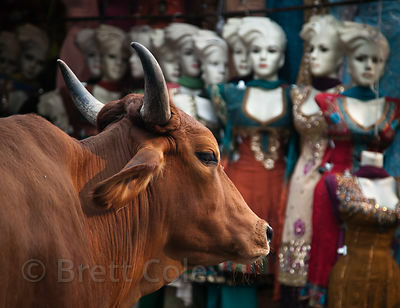 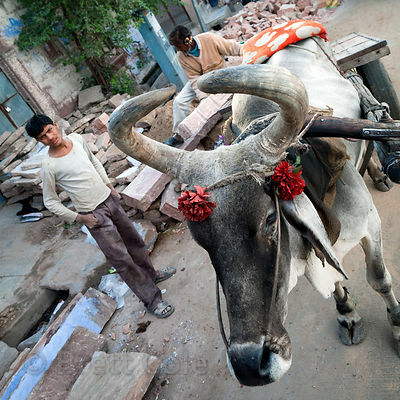 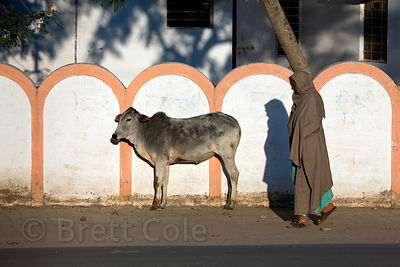 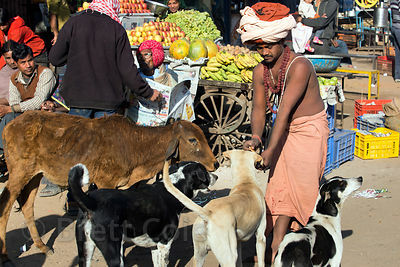 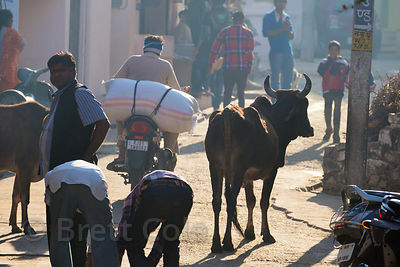 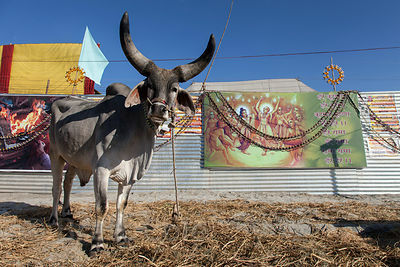 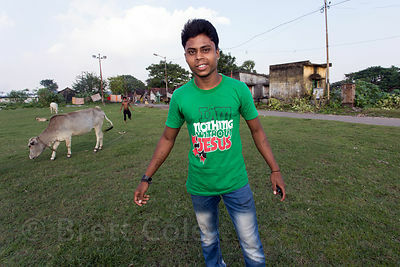 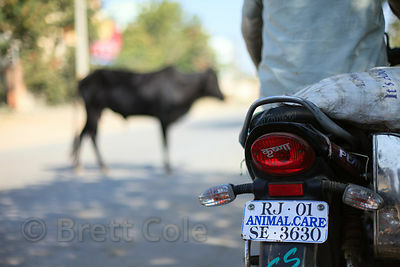 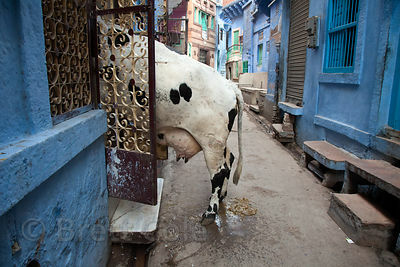 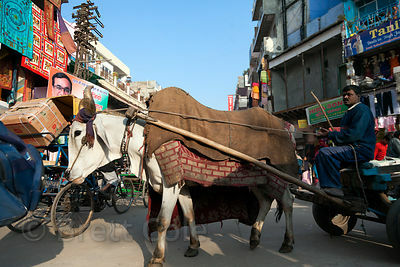 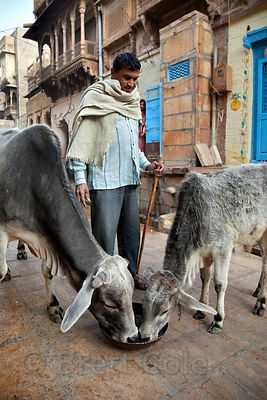 A man walks a cow around for donations at the Gangasagar Mela, Sagar Island, India. 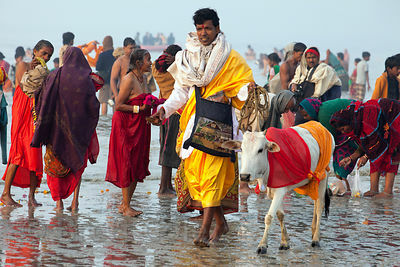 Gangasagar is a Hindu pilgrimage to Sagar Island, where the Ganges meets the sea. 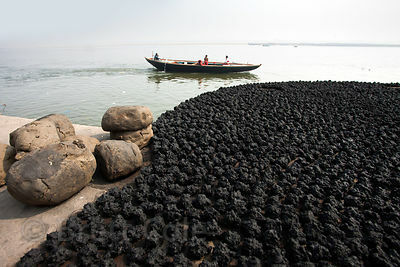 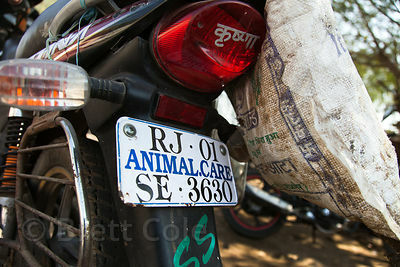 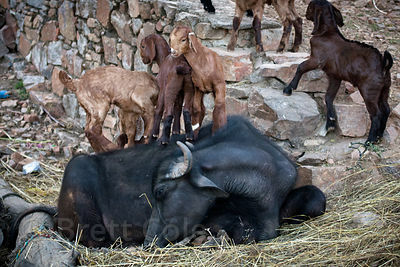 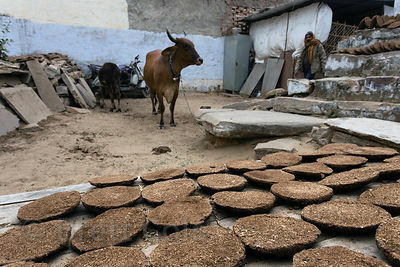 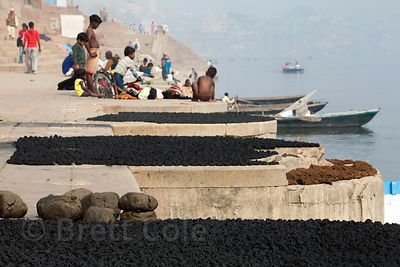 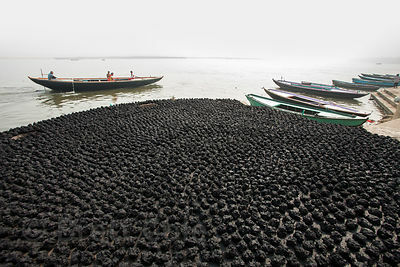 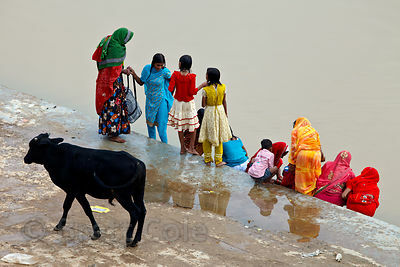 Animal dung (cow or water buffalo) patties dry on the ghats of Varanasi, India. 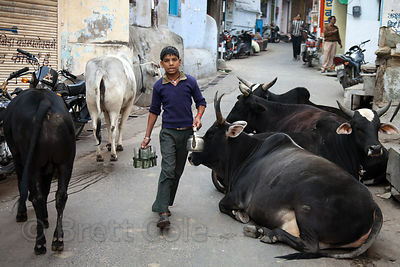 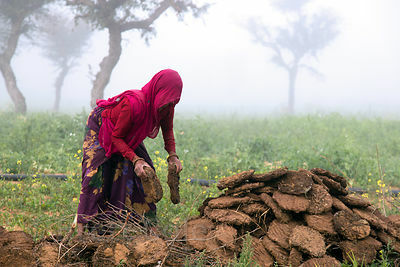 They will be used for fuel for cooking and warmth. 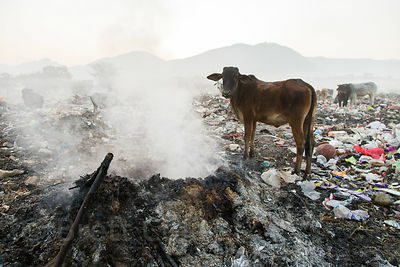 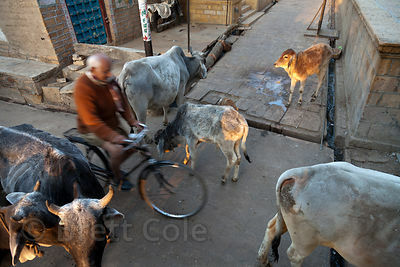 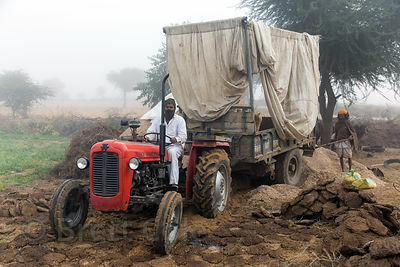 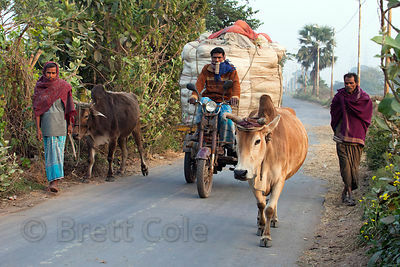 Farmer leads cows down a rural road near the Dhapa dumping ground, the main landfill for Kolkata, India. 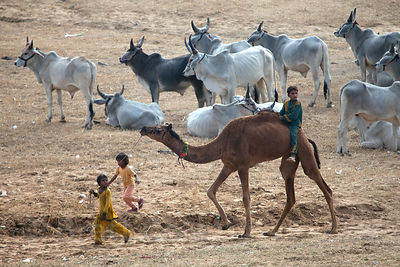 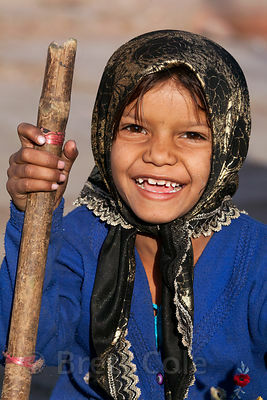 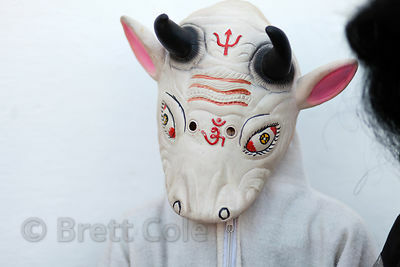 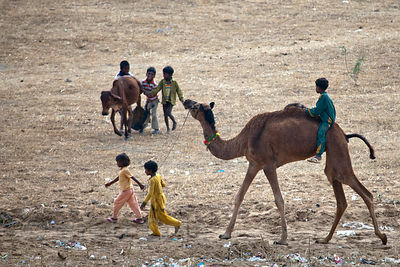 Children dressed for a parade at the Pushkar Camel Mela, Pushkar, India. 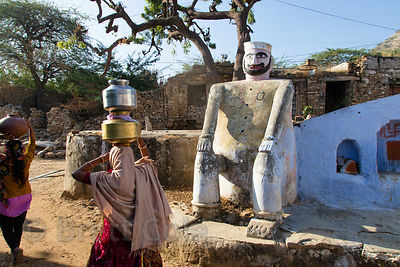 Hanuman idol in the desert, Pushkar, Rajasthan, India. 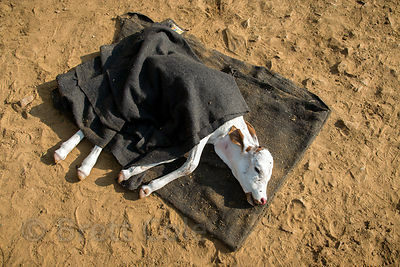 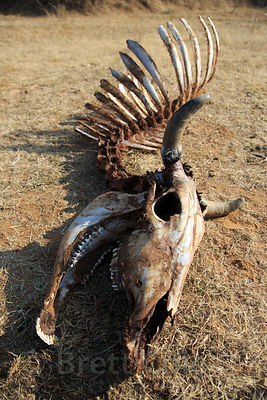 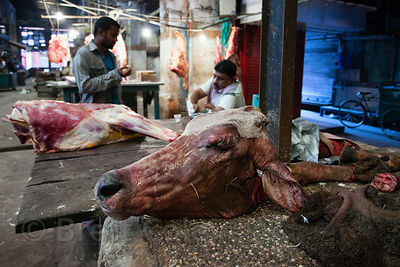 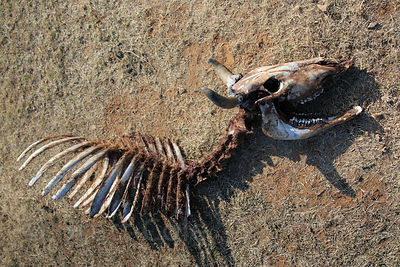 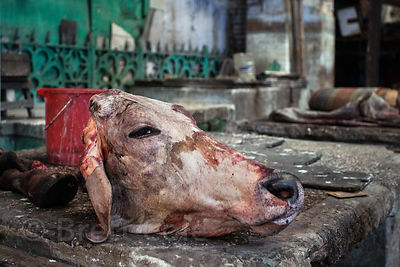 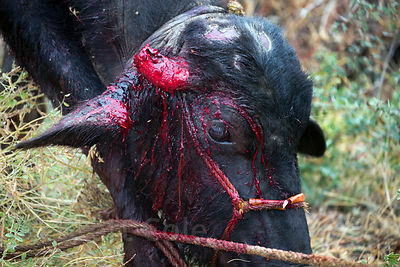 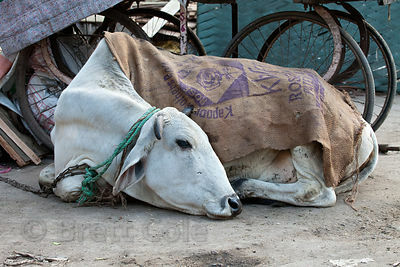 A severed cows head at a slaughterhouse, Newmarket, Kolkata, India. 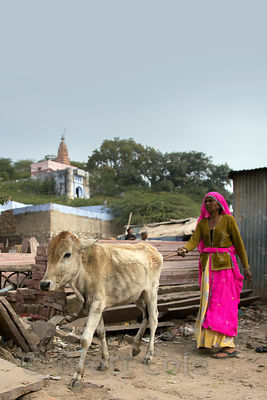 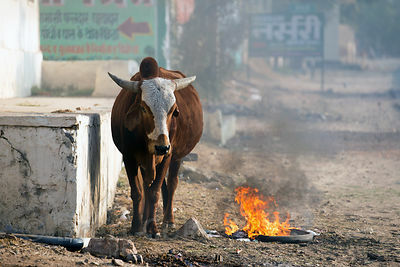 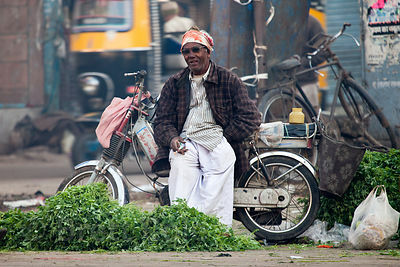 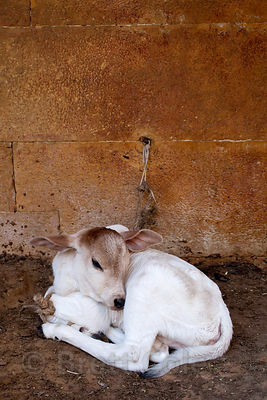 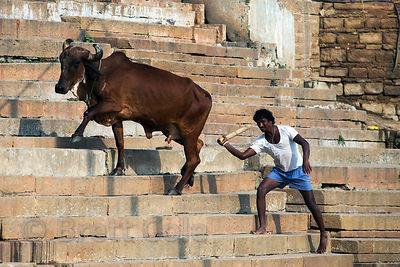 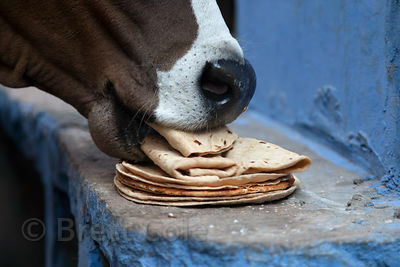 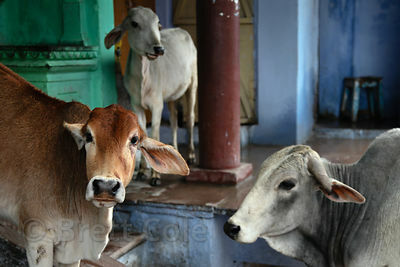 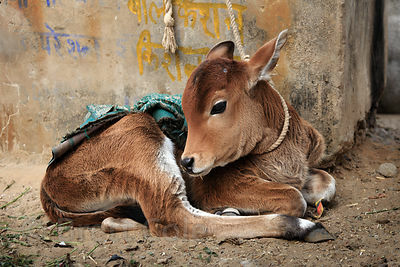 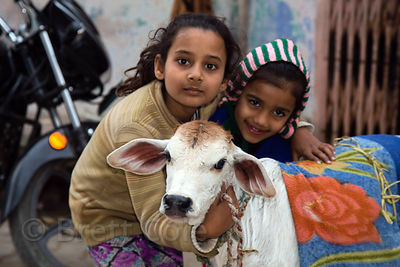 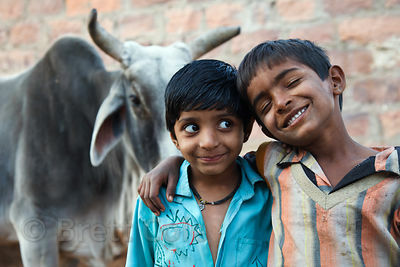 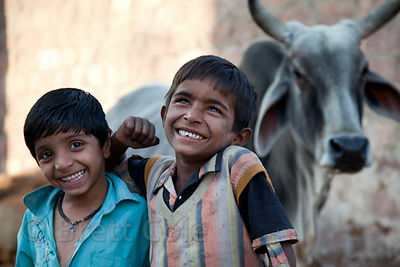 The cow is sacred to Hindus, but India is not all Hindus. 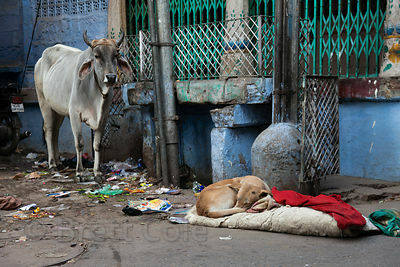 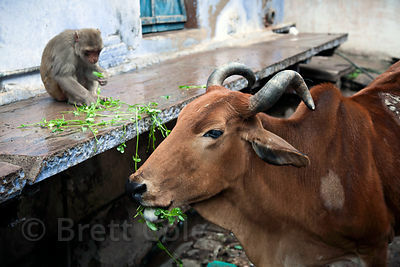 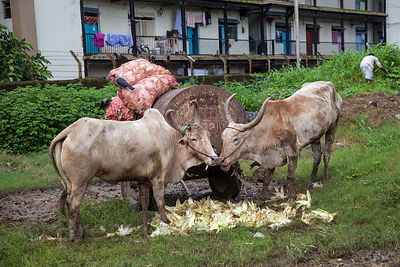 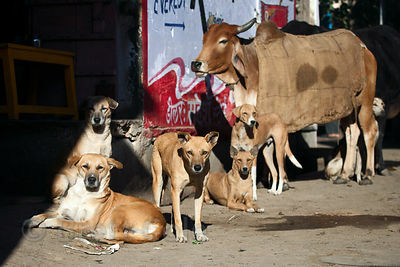 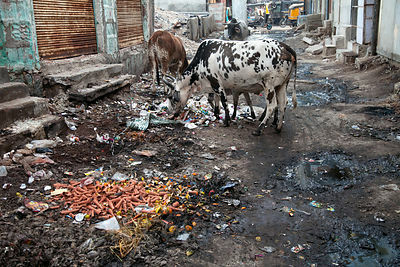 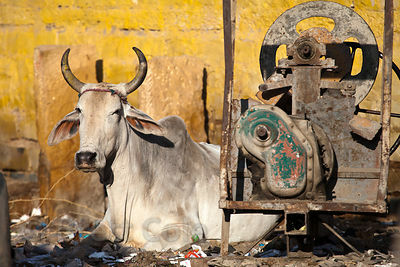 Cows eat discarded corn husks in a slum area in Mahim, Mumbai, India. 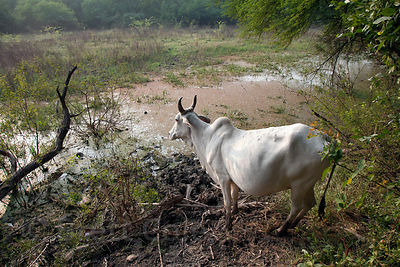 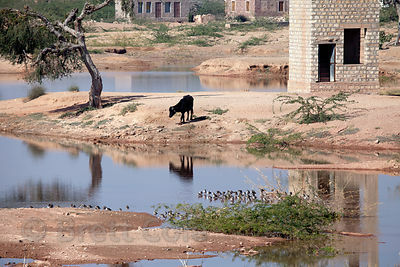 Cow in wetlands in Keoladeo National Park, Bharatpur, India. 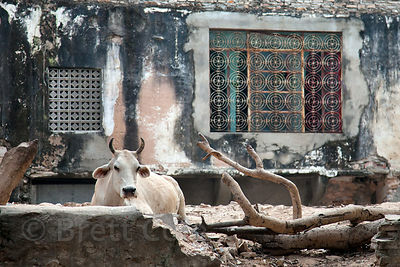 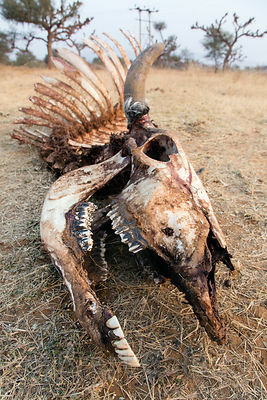 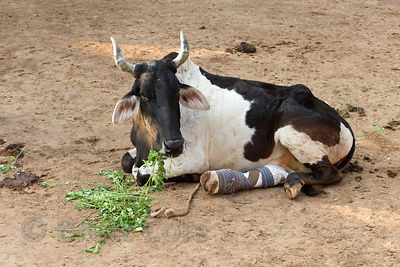 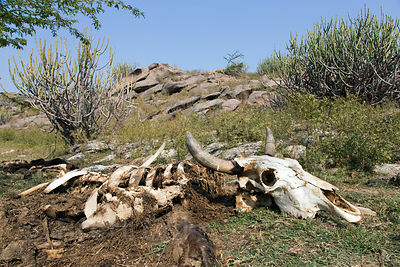 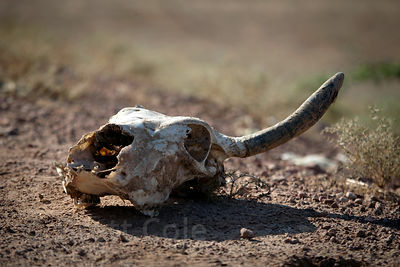 Despite being banned from the park there are countless cows inside the park that cause great damage.